Chicken Fight at the Blue Angels! 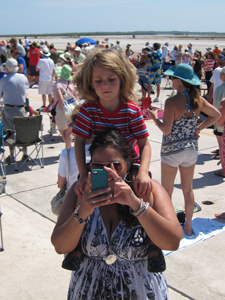 Here we are: me on Zach’s shoulders and the Boogedy atop Diana a few weekends ago at the Blue Angels Air Show! The air stunts were awesome and amazing and superlative, but my camera was no good at capturing them. 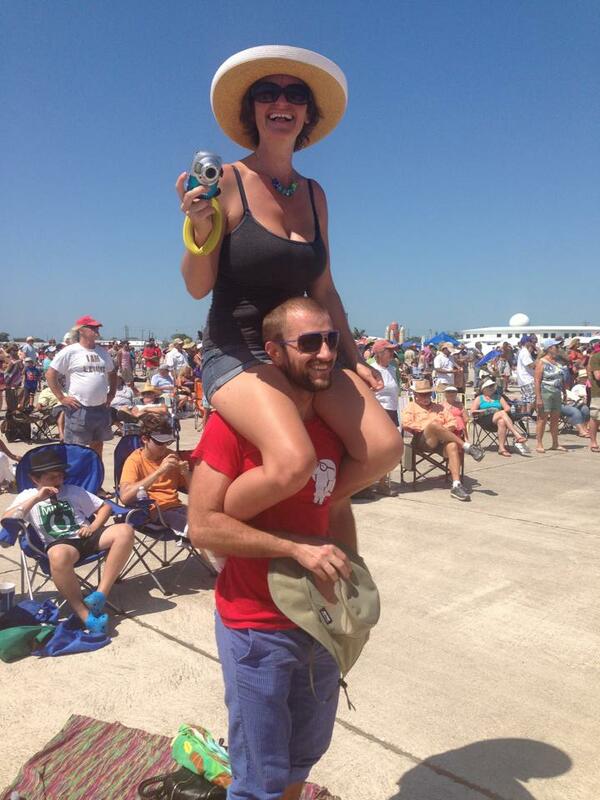 If you want to see great shots, try this facebook link for the Key West Naval Air Station. The views of the Keys from their planes are the best! After watching the show, the Boogedy and I jumped on the bungee trampolines. Back flips! Double back flips! This was great fun. Then I got off and realized I was a little dehydrated, overheated, had craned my neck to the sky for the last hour, and hadn’t done any situps in…um, forever. My head and abs were so sore. The kid figured out how to do flips immediately and had a blast. HE never complained about any pains at all.